The firm has been accused of playing it safe, and the CEO admits a need for innovation. What’s the story? “We lag behind other companies,” said Canon Chairman and CEO Fujio Mitarai in a recent interview with Nikkei Asian Review, when talking about Canon’s position in relation to the cutting edge of new technology. And when you look at the firm’s recent releases, it’s easy to see where he’s coming from. 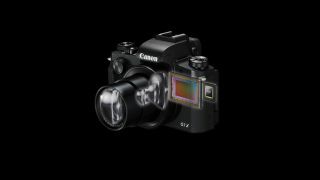 Has Canon lost its taste for innovation? If you look at Canon’s release slate over the past year, the biggest recent showstopper has been the EOS 6D Mark II, announced back in June 2017. A sophisticated full-frame DSLR, and a welcome (arguably overdue) update to a much-loved camera, it ticks a lot of boxes for a major exciting release. So how does it stack up? Techradar’s Phil Hall noted that while the EOS 6D Mark II was a better camera in every way than its predecessor, the lack of a 100% viewfinder and 4K video was disappointing. The original EOS 6D basically kick-started the notion of an affordable full-frame camera, but in the last five years the other manufacturers have muscled in on that territory. To stand out in 2017, the EOS 6D Mark II needed to do something special. It did not. This isn’t an isolated incident. The EOS 5D series famously revolutionised filmmaking, and while the current EOS 5D Mark IV is an excellent camera, it is, at the same time, little more than a stolid, expected update that did little to deal with increased pressure from Sony, whose Alpha 7 CSCs are wooing more and more filmmakers. Of course, there have been a number of other recent releases, including mid-range DSLRs like the EOS 200D and EOS 77D, and entries to the mirrorless M line like EOS M100. Canon users reading this, however, should pause a moment before jumping ship. In the same interview with Nikkei Asian Review, Fujio Mitarai discussed plans for the company to regain its place at the forefront of technological development, and there are already signs of that happening. In 2017, Canon Inc. ranked third in terms of US patent awarded, and the firm was granted a total of 3,285 patents throughout the year. As most people are aware, Canon is involved in many sectors outside of imaging, but it’s reasonable to assume that its imaging department won’t have been left out of this haul – particularly when you consider that the firm received a 2017 Technology & Engineering Emmy for its 4K cinema lenses, in recognition of its contribution to the film world. While we’re only at the rumour stage, 2018 is looking to be an interesting year for Canon. We’re due updates for the EOS 80D and EOS 7D Mark II, and somewhat encouragingly, CanonRumors has reported promise of “a shakeup” for the prosumer APS-C DSLR world. The same source has also said we can expect the firm’s first 4K APS-C camera, and the fact that 2018 is both an Olympic and a World Cup year means new professional gear is definitely on the cards. Time will tell if 2018 proves to be the year Canon rediscovers its taste for innovation – but the early signs are certainly encouraging. Read more: What new cameras are coming out in 2018?